FC Barcelona travel to Gran Canaria to face Las Palmas who are fourteenth in the table. There are two league games left in the season and the blaugranas are level on points with Real Madrid at the top of the table, with a superior head-to-head record but having played one more time. The Catalans need another win to continue piling the pressure on Zinedine Zidane’s side as the league title race reaches its conclusion. Check out our handy TV guide below, which lists local broadcast information and kick-off times around the world. 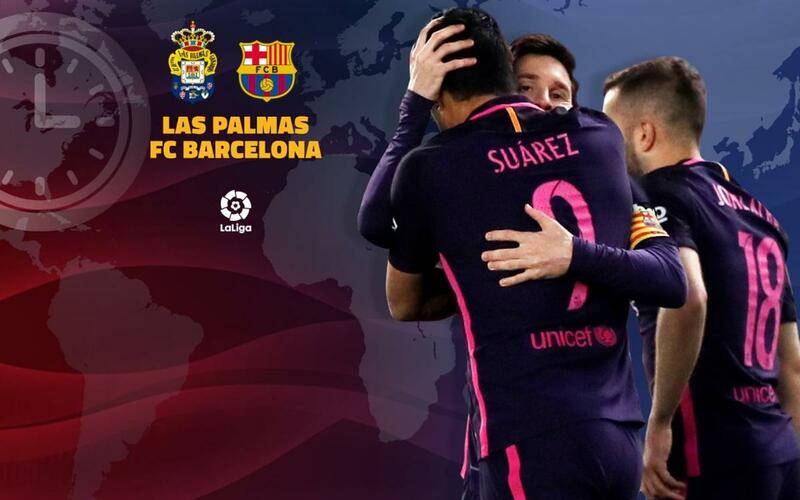 If you can’t get to a TV to watch the game live, don’t panic as you can also listen to live commentary in English on Radio Barça, as well as follow our minute-by-minute updates on Twitter.